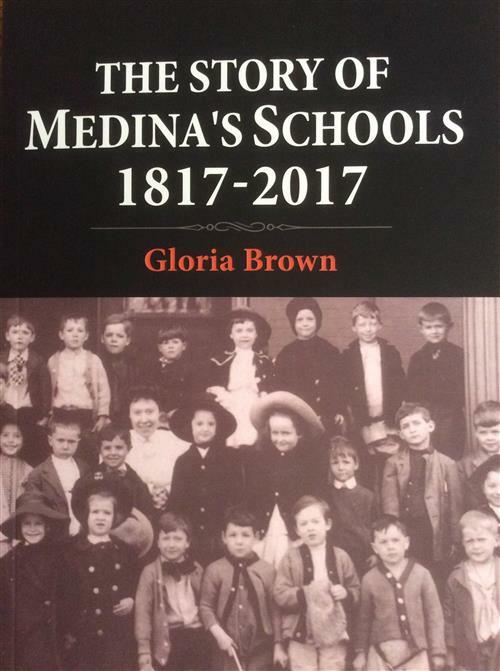 The Medina City School District encompasses approximately 52 square miles which includes the City of Medina and Montville, Medina and a portion of Lafayette Townships. The district has seven elementary buildings, two middle schools, and one high school. 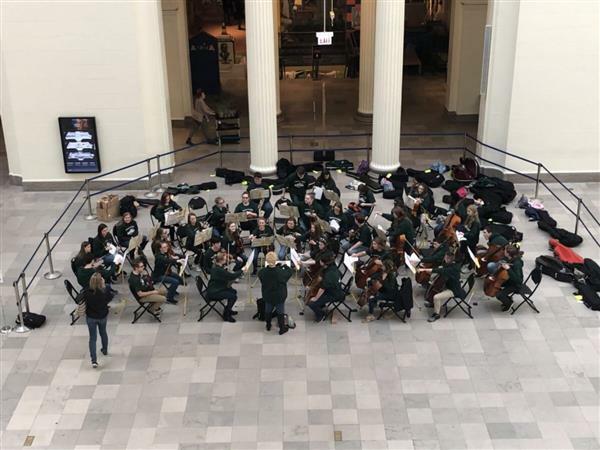 Utilizing a collaborative approach, we are able to provide outstanding academics and extracurricular activities to our students in an effort to ensure that our students receive a well-rounded education. We are a district which consists of community schools where all members play an important role in the development of our students. Our ultimate goal is not just graduation but providing students with the necessary skills to be good citizens and successful adults as they navigate through life. It is important to instill good moral values and character that reflect the pride and expectations of our community. 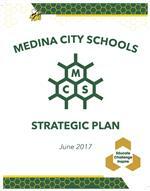 Medina City Schools strives to meet the needs of "Every Student, Every Day." As a District, we are in very early discussions about potential redistricting and a potential bond. Click on the image below for the most current fact sheet with regard to redistricting and information about bonds. We would like to receive your feedback with regard to potential redistricting and bond issue. To submit your question(s), please complete the form below by clicking on the image. For answers to some frequently asked questions, please click on the Did You Know image above. Thank you for taking time to provide your valuable input. The 2017-2018 Quality Profile is now available. 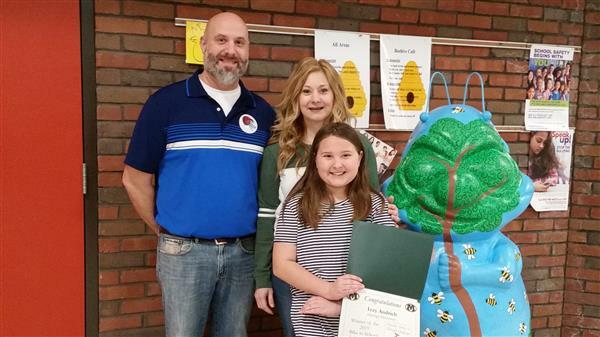 Click on the image below to take a look and read about the great things happening at Medina City Schools. On Wednesday, June 6, 2018, the Year in Review was presented. The outline is available here. A recording of the presentations will be available soon. If you have any questions, please feel free to use the Contact Us Form by following this link. Not a Medina City Schools family? Want to stay connected? 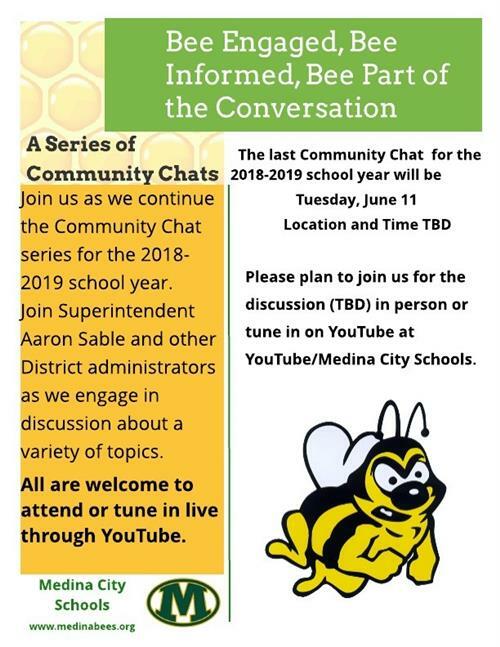 Click on the image to sign up for the Medina City Schools' Monthly Bee Informed newsletter. 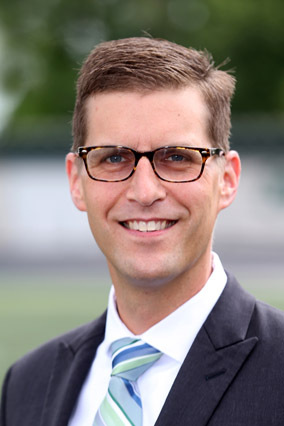 The Intradistrict Open Enrollment Option will be available to all Medina City Schools’ students who wish to attend an elementary or middle school other than the one they are assigned within the School District during the 2019-2020 school year. This option is based on enrollment numbers, as well as space and staff availability. Class assignments are made only to those grades that are at the District class size less one. 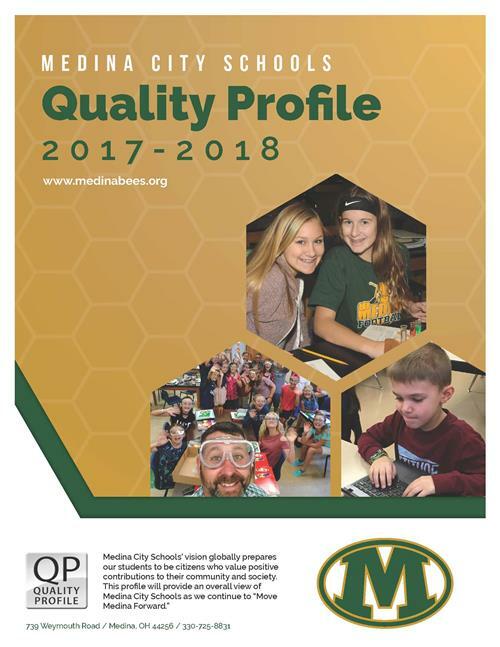 Intradistrict Open Enrollment requests will be available on the Medina City Schools website on Monday, April 1, 2019, at http://www.medinabees.org (go to Departments in the top toolbar and click on Student Registration then on the left side of the screen click on the link to 2019-2020 Intradistrict Open Enrollment Form). Requests will be accepted via online submission only from Monday, April 1, 2019, through Friday, May 31, 2019, for the 2019-2020 school year. Parents will be notified in writing of their child’s acceptance/non-acceptance no later than the second week of August 2019. Assignments may be revoked in reverse order of date received (last in, first out) if enrollment figures no longer allow for additional classroom space. Parents whose children are approved for this Intradistrict Open Enrollment Option are responsible for transporting their own children to and from the school. 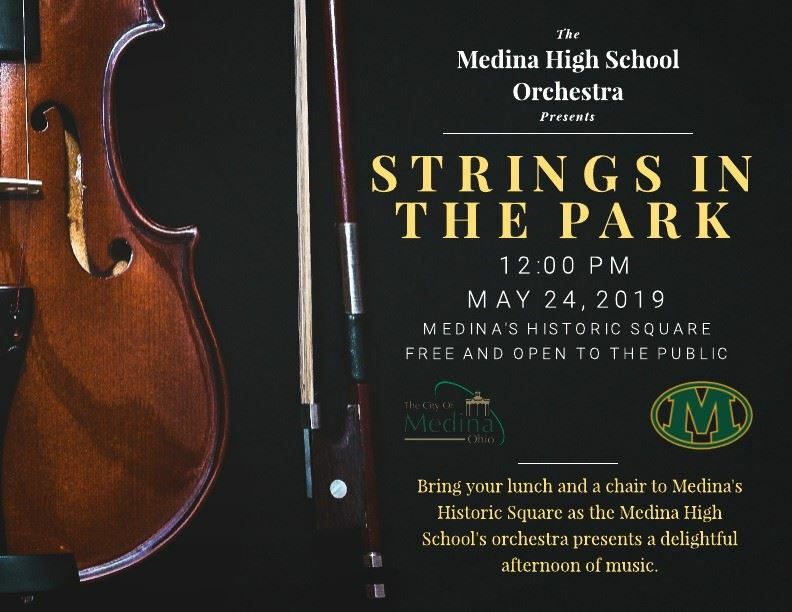 As a matter of information, Medina City Schools does not allow students from other school districts to enroll in the Medina City School District under the Intradistrict Open Enrollment Option. However, Medina City Schools does allow students to leave the District to attend another district. 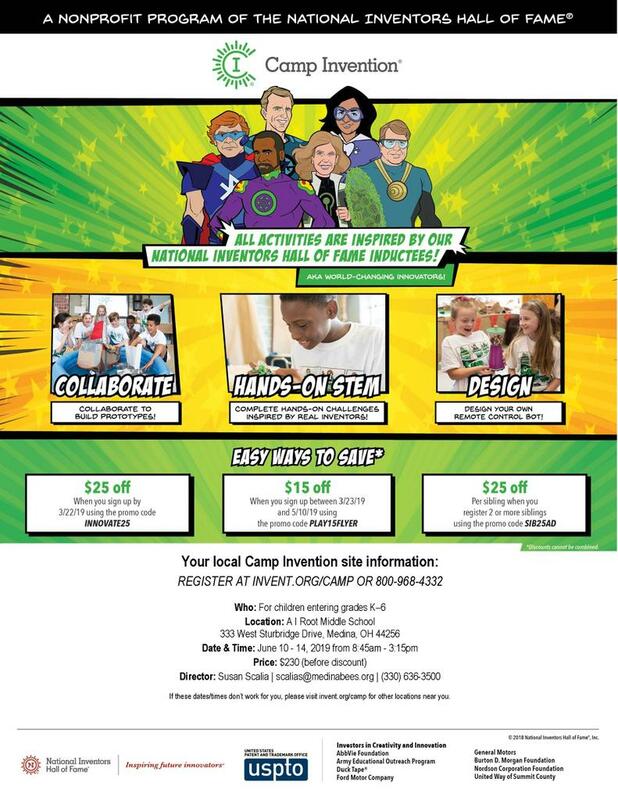 For more information, please contact the Office of Registration at 330-636-3100. 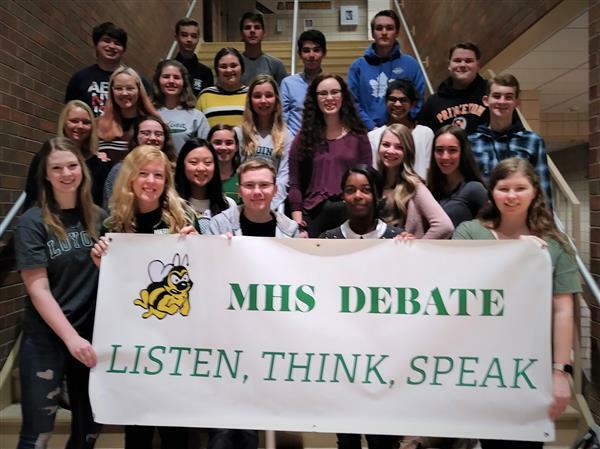 On Saturday, April 20, ten outstanding alumni and community members will be honored as they are inducted into the Medina City Schools Hall of Fame during a recognition dinner at Weymouth CC. The event begins at 6 PM with a social with dinner at 6:30 PM and recognition beginning at about 7:30 PM. The inductees for the Class of 2017 are the late William "Scott" Elligott, Russ Kotalac, Milt Place, Matthew Platz, and Murray Van Epp. Inductees for the Class of 2018 are Kimberly Alber, Tor Dietrichs, Sarah Jane Ingraham, Jerry Lee, and Joan Weigel. For questions, please call 330.636.3012. Per Ohio Revised Code, the State requires students to attend a minimum number of hours depending upon their grade level. Based upon these calculations, the District has allotted the equivalent of 7 calamity days for the 2018-19 school year. This year, some of the buildings have exhausted more days than others due to various circumstances. Below are the current number of days remaining by building as of February 19, 2019. 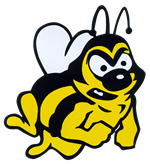 This information will also be available on the District’s website at www.medinabees.org. During the Monday, April 15 Board of Education meeting, Medina City Schools officially launched its Bus Safety Public Service Campaign in collaboration with the City of Medina Police Department, Montville Police Department, Medina Township Police Department, and MedinaTV. The purpose of this campaign is to bring heightened awareness to bus safety and the laws surrounding school buses. This will be an ongoing campaign with videos, yard signs and bumper stickers and more in the coming school years. Click on the link to view the first video in the series. https://www.youtube.com/watch?v=KHtVmybiOIo To obtain a yard sign, please contact the Transportation Department at 330.636.4360. 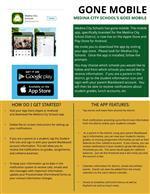 Below is a link to an informational sheet on how to download and use the new MCS mobile app. To help you through the Registration Gateway process, here are answers to a some of the frequently asked questions we have currently received. Ohio is making it easier for individuals who are experiencing a stressful situation to find immediate help, 24/7 with the launch of a free, confidential, statewide Crisis Text Line. Starting today, any Ohio resident who needs help coping with a crisis can now text the keyword "4hope" to 741741 to be connected to a crisis counselor. More information is available from the Ohio Department of Developmental Disabilities. MCS is in need of day-to-day substitute teachers. Please visit the ESC of Medina County website link to learn how to sign up or call HR Specialist Jama Johnson for more information. 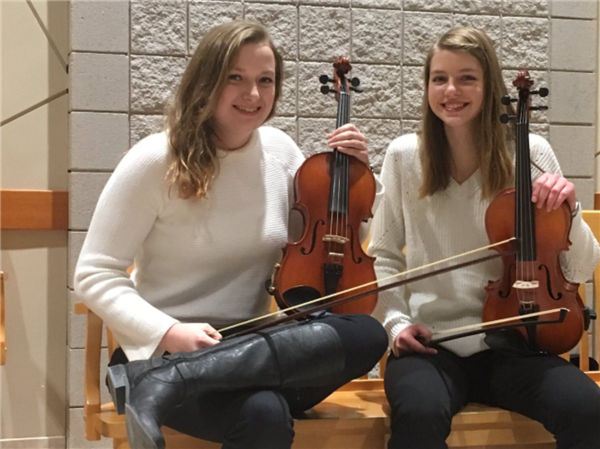 MCS is looking for an Elementary Music (mid-April through May 2019) and Special Education Long-Term Substitute Teachers. Please see the HR website page under Certified Positions for more information. Medina City Schools is looking for bus drivers for the upcoming school year. Please visit www.medinabees.org or call 330.636.4360 for more information. Medina High School American Sign Language Class "Waving Through a Window"